Well, well, well. Despite the critic’s heartless scrutiny of Michelle Obama’s “harsh” eyebrows, risky fashion choices, and womanly figure, she’s made People Magazine’s highly coveted 100 Most Beautiful People list. Michelle Obama, who has achieved celebrity status and wows the world as a fashion icon, made the list for the first time and is joined by Christina Applegate and Twilight actor, Robert Pattinson. “I had a father and a brother who thought I was beautiful, and they made me feel that way every single day,” Obama told the magazine. “I grew up with very strong male role models who thought I was smart and fast and funny, so I heard that a lot. I know that there are many young girls who don’t hear it. But I was fortunate,” she added. Congrats, Mrs. O! It’s great to see the media finally acknowledging what we already knew. Love her…she’s a true beauty and inspiration to all black women. She is truly beautiful and elegant and her fashion choices are always on point! Loves her! 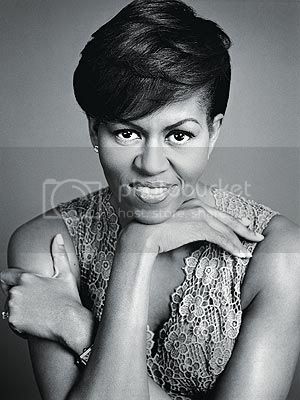 Michelle-O is the true definition of beauty, both inside and out. I am so proud to have her as a role model and as my First Lady.